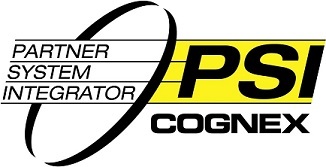 EZ Systems, LLC is recognized Cognex Partner System Integrator (PSI). This means you are guaranteed experienced, expert advise and support on the Cognex brand and on your machine vision needs. Involving a Cognex PSI from the inception of your project means that you’ll have access to industry knowledge and experience to conceptualize or design-build the best solutions that meet your requirements and budget. Only Cognex PSI’s can bring you the advance integration capabilities of VisionPro tools (keyed or VC5) for advance algorithm development and 3D displacement sensors. These capabilities also include integration and support for InSight and Dataman products and a spectrum of other tools for Identification/ID, feature detection, track & trace, character recognition (via OCRMax for OCV/OCR applications), and pattern recognition with PatMax and PatMax RedLine technology. In many cases, we can prototype or pilot your particular solution challenge (whole or in-part) and give you and your team focused-advice for a best-in-class engineered implementation. Because vision is what we do, our experts look at your application specific criteria and quickly identify lighting, optical and processing needs for proper camera selection, staging (robotic, fixed or manual) and overall automation. Once your vision solution is formed, our intelligence group can then step in and provide you with connectivity tools, data collection and analytics for a comprehensive solution that delivers information from your vision and automation systems to decision makers and the enterprise. To learn more about Cognex, visit their website at www.cognex.com. EZ Automation Systems, • Copyright 2015 • Trademarks: Products and companies referred to herein are trademarks or registered trademarks of their respective companies and may or may not be directly associated with EZ Automation Systems LLC.